Mega Sale! 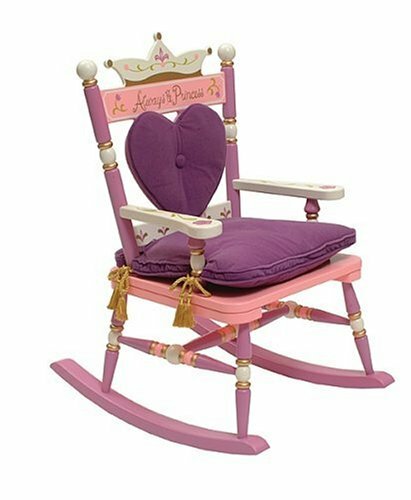 Save 24% on the Wildkin Royal Princess Rocking Chair by Wildkin at Indsight. SKU: LI1002. MPN: RAB00009. Hurry! Limited time offer. Offer valid only while supplies last. iParenting Media Award Winner! Hand-painted in pink, purple and cream with gold accents. Crown backrest with removable heart-shaped back cushion. iParenting Media Award Winner! Hand-painted in pink, purple and cream with gold accents. Crown backrest with removable heart-shaped back cushion. Special Message: Always a Princess Regal padded seat cushion with gold tassels. We've even included the true test for all princesses - a little green pea hides under the seat cushion.